PXA is a rare tumor occurring in children and young adults. This tumor is usually located superficially in the supratentorial compartment, mostly in the temporal and parietal lobes. The main initial clinical presentation is seizures. PXA usually has an indolent course, with slow progression and benign behavior, although aggressive cases have been reported. The gold standard for treatment is total tumor resection, whenever possible. Heterogeneous, superficial mass on imaging: The radiological appearance of PXAs is characteristically a superficial supratentorial mass with heterogeneous contrast enhancement. The tumors might be nodulocystic or purely solid. 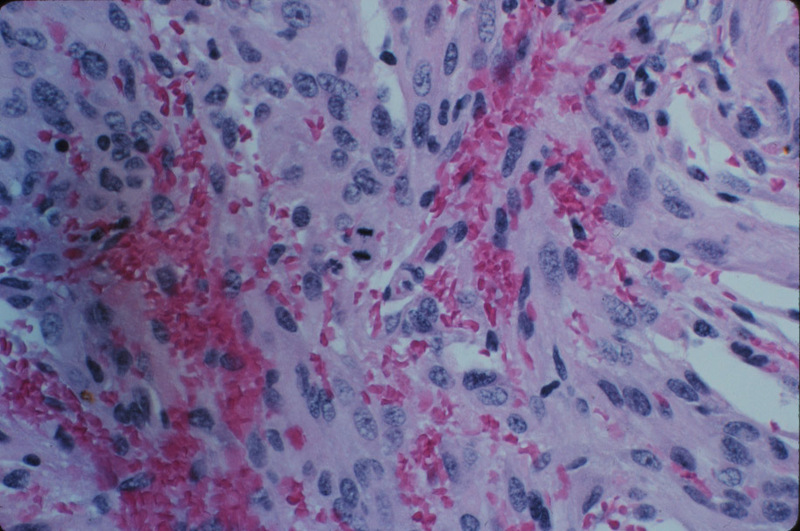 Pleomorphic cells with nuclear atypia: The histological characteristics are considered benign despite significant cellular pleomorphism and nuclear atypia. Xanthomatous astrocytes are a classical feature (cells containing intracellular lipid), as well as leptomeningeal involvement. Preferred treatment total resection: Total resection is the goal with the best chance for cure.